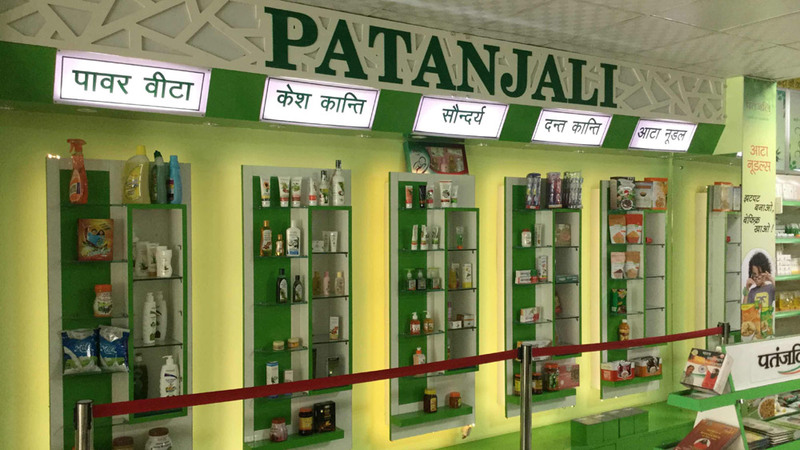 With its natural and low-cost products, Patanjali has unnerved its competitors, especially in beauty product segment. The brainchild of Yog Guru Baba Ramdev, Patanjali has become of the fastest growing consumer products brand in India. The company is currently valued at INR 3000 crore. Patanjali has become a household brand in India in a few years and has expanded remarkably across the country in both rural and urban areas. With the brand foraying into various segments, opening a Patanjali mega store can reap huge benefits. So, if you are thinking of opening a Patanjali Mega Store, consider these following points. Before starting a Patanjali Store, you need to send an application form for Mega stores which are available on the website of Patanjali Ayurved Ltd. The application can be sent via post or email on the official address mentioned on the website. But make sure to verify the website once before applying to avoid becoming a victim of franchise fraud. Opening a megastore requires heavy capital. Since Patanjali Megastore will be opened only in the A-list cities; it requires a higher investment than other Patanjali franchises. Patanjali mega store requires an initial investment of Rs. 50-60 Lakh depending upon the Sq. Ft. Area. It also requires a security deposit of Rs. 5 Lakh, which is refundable. Location plays an important factor in the success of any business. Patanjali is particular about the location of its megastores. The megastore can only be opened in the A-list cities, i.e cities which have a population above one lakh and the city can only have one such shop if the population is around one lakh. It will only be allocated in a prime location or main bazaar of a city and should have a minimum distance of 2.5 Km in the metro city & 3.5 Km in Non-metro city form existing Patanjali stores. Generally, megastores require a large space. For starting a Patanjali megastore if you have a minimum area of 2000 Sq. ft, you’re good to go. Your mega store needs to have a Vaidya (Ayurvedic Doctor), appointed by Patanjali itself. You also need to facilitate the Vaidya with basic amenities such as medical instruments, sitting arrangements, washrooms etc. Patanjali doesn’t have a complicated documentation procedure. A must requirement is that the applicant should not be condemned by the court for any unlawful action. Since Patanjali thrives on its reputation in the market; they also require that the applicant must possess a reputed position in society. Along with duly filled application form, various documents are required to open a megastore such as few passport size photos, Photocopy of PAN card, identity proof, address proof etc. The Information Provided here is very good and helpful. The Progressing Market of Beauty Salon Industry..